Give a delicious yet healthy perk to your super active dog with these chicken cakes. 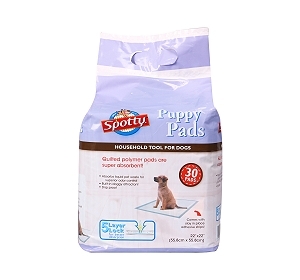 Made from the healthy natural ingredients, these cakes are an exciting way to treat your dog. These cakes are formulated from the natural ingredients keeping various nutritional content intact. These nutritious cakes help to improve the eye health, digestion, and controls weight. Made by the pet lovers, these are the juicy and moist cakes which satisfy the natural urge of chewing in puppies and dog. 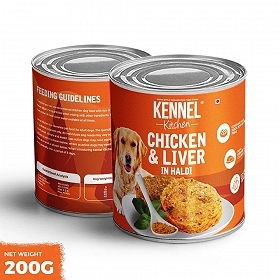 Comes in the amazing flavor of chicken, these cakes are the best way to make your dog happy! Keeping your pet’s health in the mind these cakes are made with the blend of all healthy natural ingredients. The selective natural ingredients make these cakes soft, Juicier and moist which are healthy yet delicious. These cakes delicately massage the teeth of your dog keeping them away from all the dental problems. The chicken flavor can enhance the taste bud of your dog and they go to finish these treat in no time. 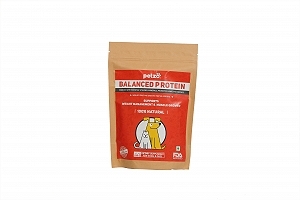 Carefully made from the handpicked ingredients, keeping it natural nutrients intact these chicken cakes are highly digestible so that pet will always remain healthy. These cakes are the best way to treat your dog while training or midday food craving. 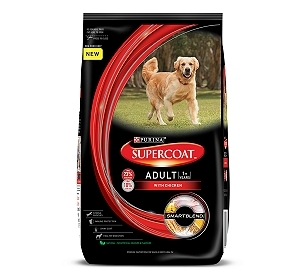 Note - This can be given to the dogs as a part of a treat but cannot replace their regular meal.